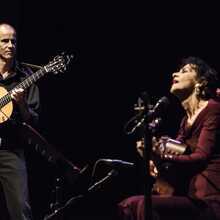 Two soft guitars, two beautiful voices, but above all two extraordinary artists on the stage of De Centrale! 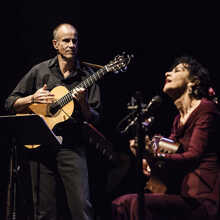 Angélique Ionatos and Antonio Placer bring “Chansons indignées», indignant songs, that are at the same time joyfull , intimate and passionate. After all, in every indignant song there is still some joy hidden? Two extraordinary troubadours, one from Greece, the other from Galicia, try to - with a lot of indignation - make the world a better place for everyone through their voice. For this they take us on a groundbreaking poetic journey that starts on the isle of Lesbos in the East of the Mediterranean and ends on cape Finisterre, which was once considered the end of the world. Angelique Ionatos (Angeliki Ionátou) was born in Athens in 1954. In 1969 she leaves Greece (during the regime of the colonels) and ends up in France after a short stop in Belgium. Since 69 she still lives and works in France. Her first album album “Résurrection” – in duet with her brother Photis – is released in 1972. It is the start of an impressive career and equal oeuvre. 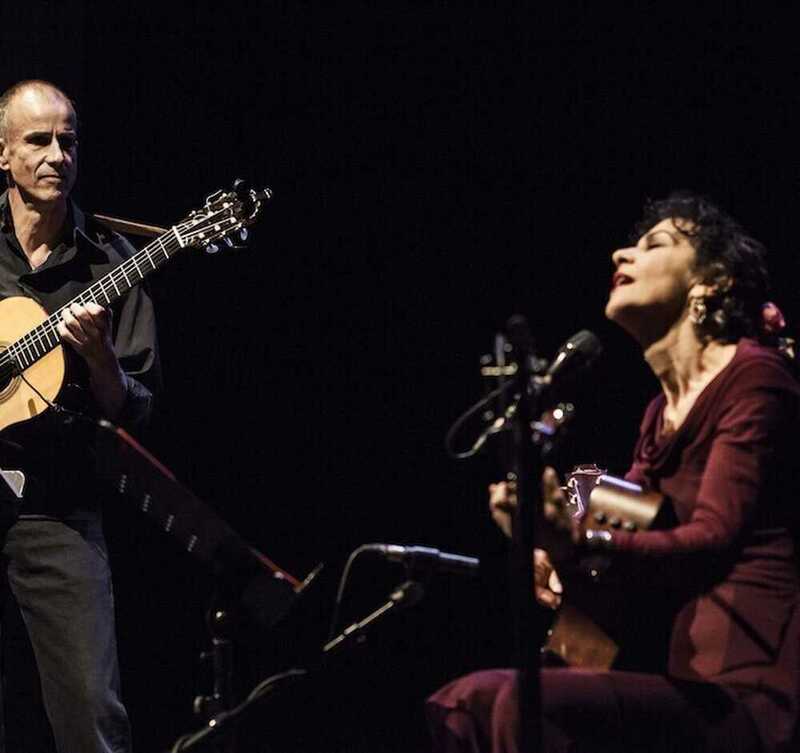 Between her first and her most recent album “Reste la lumière”, she realeases some twenty albums and gives numerous concerts for which she also comes to Belgium. The Galician troubadour-chansonnier- protest singer Antonio Placer is for most of us a rather noble stranger. His popularity limits itself (for now) only to the Iberic peninsula, France and Italy (amongst others thanks to his collaborations with singer Elena Ledda (> see concert 30/11/2016 in the MIDIMIX-series). It is about time that the lowlands as well get to know and appreciate this subtle cosmopolitan and artistic centipede. This self-declared “anartist” sings alternately in Castellano, Gallego, French, and Tamarindola (a self-constructed language) and has found in Angelique Ionatos a perfect compagnonne de route. 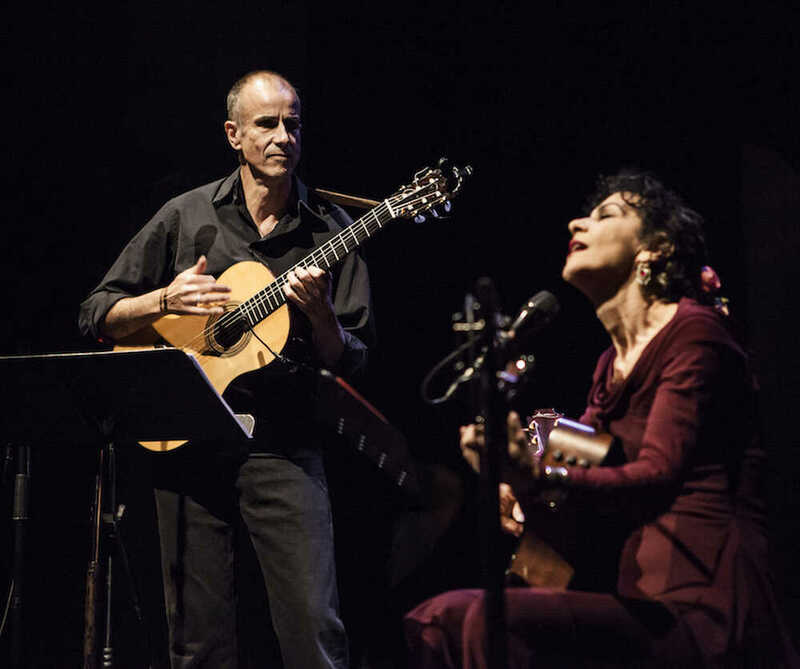 Chansons indignées was first performed in Nantes on 20th of January 2016 during Les Biennales Internationales du Spectacle(BIS), a renowned French festival. It was a public success with over 1000 spectators.